In my on going Sharia Mosques in America series, we see that the Muslim Center of New York located at 137-58 Geranium Ave, Flushing NY is teaching kids Islamic Law. From the center’s bulletin board. For those who do not know, fiqh is the study and understanding of Islamic Law. It may be only a small portion of the Republican Party, but this is not the first time that GOP members have questioned how this war is being fought. 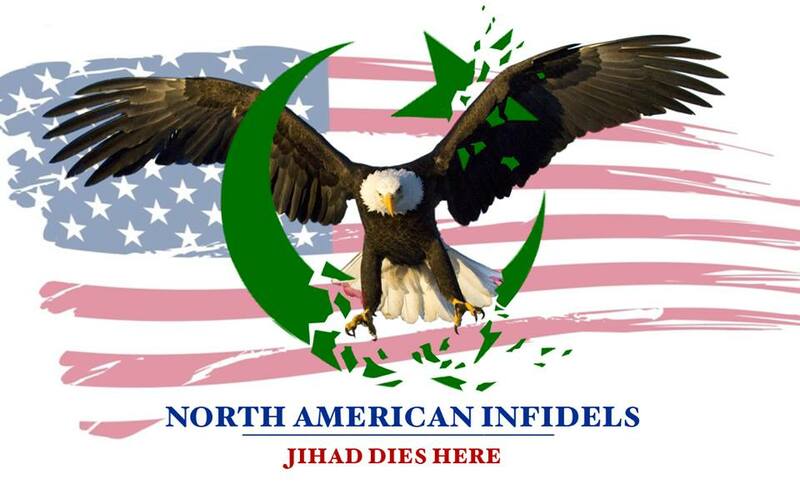 Up until recently we barely heard a word about the threat of Sharia, but the sleeping giant of America is awakening. Keep up the good work guys, and never let up. Together we can ensure our families future generations, that this will never be an Islamic country! I am sure that many of us have heard Muslims make the following statement. When they say this they are being very deceptive. They are leaving out the most important part of the verse, which is “unless it be for murder or for spreading mischief in the land” Here it is in its entirety. Whether Muslims takeover through violence or by using our freedoms against us to advance Islam, the final goal is the same. That is an America governed by Sharia Law. While the laws of America are equal for all, Sharia Law discriminates against non-Muslims, apostates, homosexuals, and women. I believe if more Americans knew what Sharia Law demands they would take a stand against it. This will be my first installment on Sharia, and I just want it known that the laws I write about were taken from, the Reliance of the “Traveller, A Classic Manual of Islamic Sacred Law”. The book has the stamp of approval of Al Azhar, the world’s highest learning Islamic school. Recently there has been numerous Muslims, and their non-Muslim supporters posting here. I would appreciate if you guys answered the following questions. I would also like to put the issue of terrorism aside for now. Does anyone still think that our hard work is not paying off? Here we see a major player in America recognize Sharia for the threat that it is, and he calls for a Federal Law to ban it in all US Courts. The word is spreading, and if we keep up the pressure, victory will be ours! OK my friends this is getting out of control now. Just recently I had posted about two Mosques coming to Ground Zero, a the battle over a proposed Mosque in Staten Island, another battle over a 52,000 sq ft Islamic center in Tennessee, and a Mosque which has obtained approval in Wisconsin. Now I have just found out that the Islamic Society of Central Jersey, is expanding over 17 acres of land. They recently broke ground for the school on May 21st, 2010. Just like in America, Muslims are using the freedoms of Australia to advance Islam, and then turn on the country by “fulfilling their obligations to Allah, and his messenger”. This is a clear call for Sharia Law. If non-Muslim countries do not end Muslim immigration, it is just a matter of time until they destroy our countries from within.